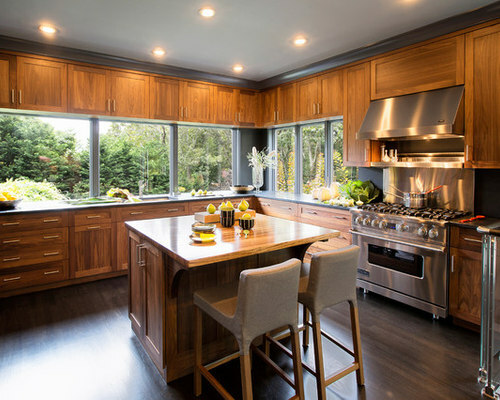 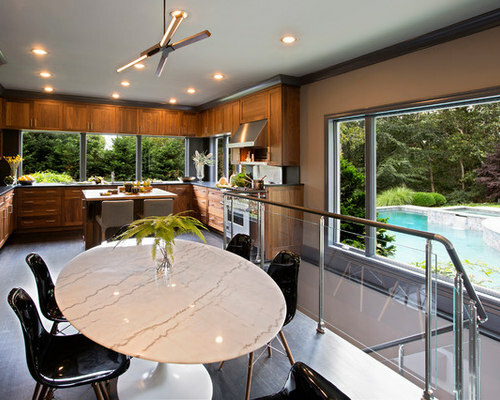 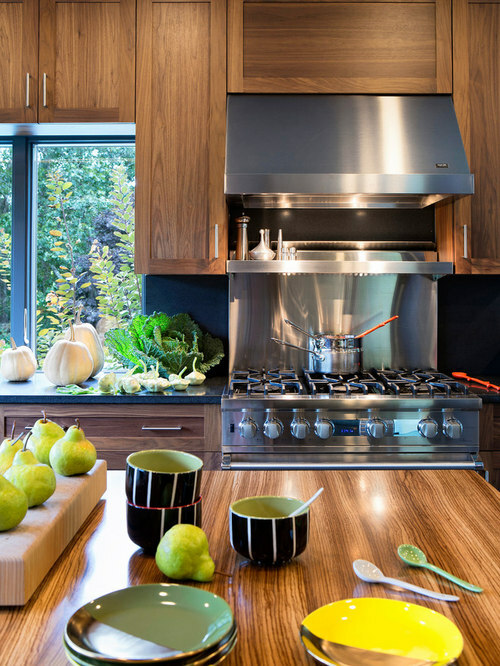 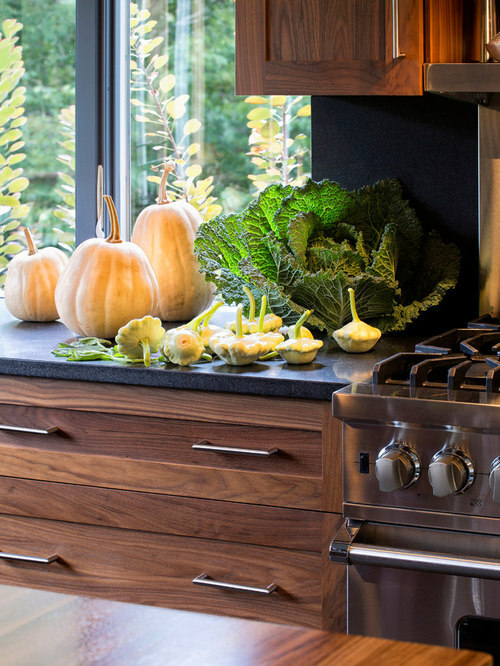 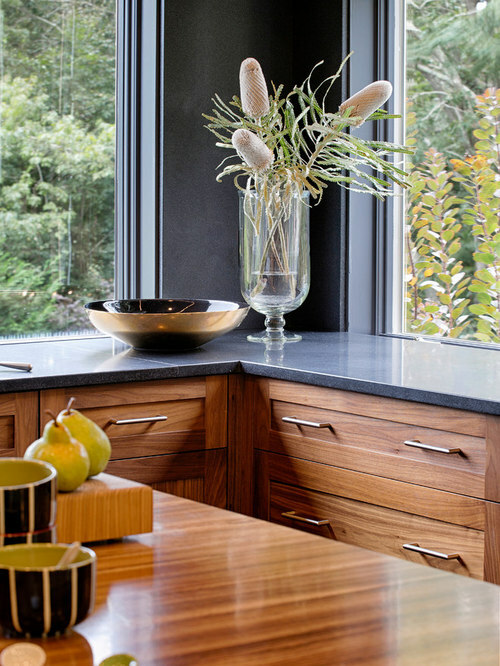 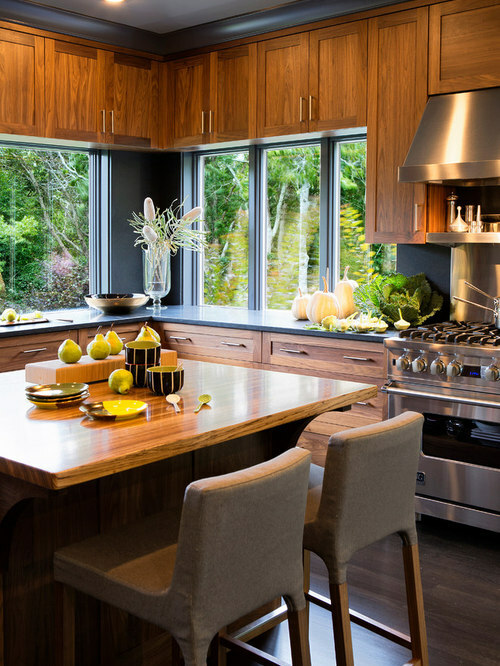 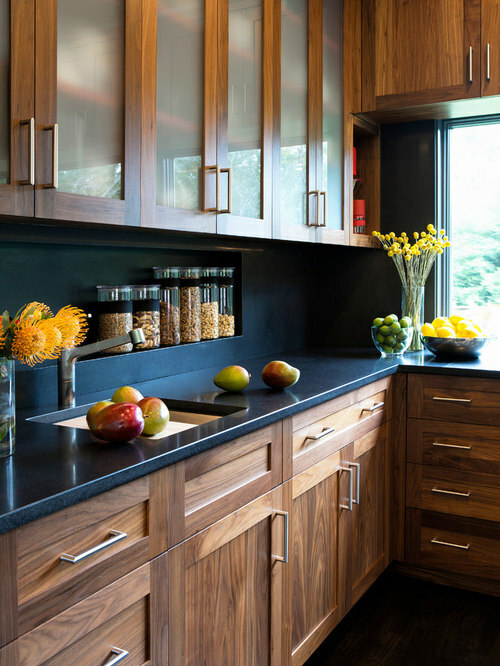 Custom walnut cabinetry serves as a rich, warm setting for gleaming stainless appliances. 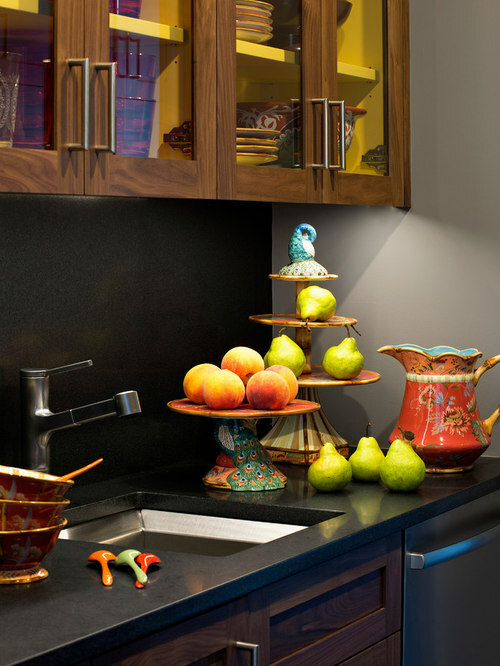 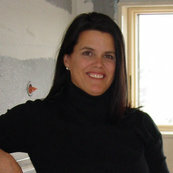 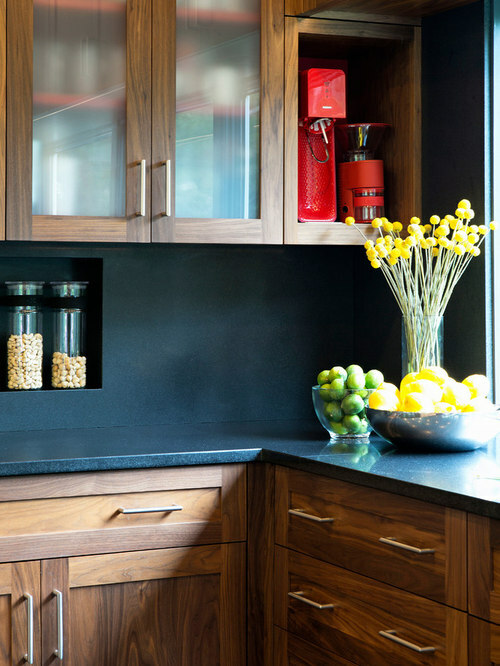 Countertops and the backsplash are honed black granite. 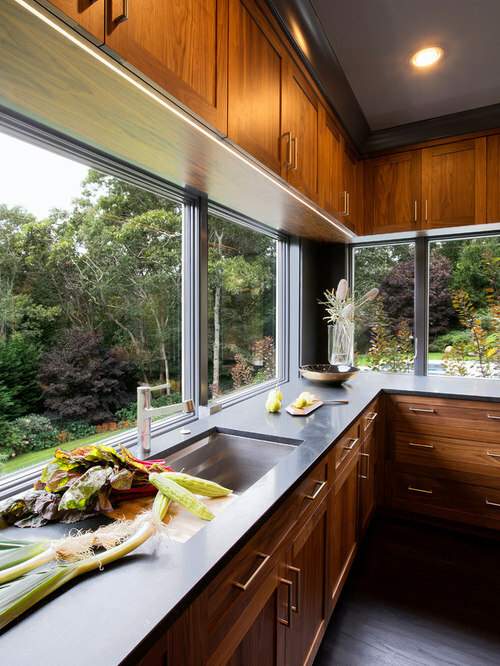 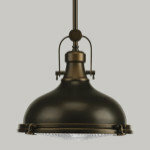 The multi-functional Kohler under mount sink accommodates a cutting board, colander, and other accessories. 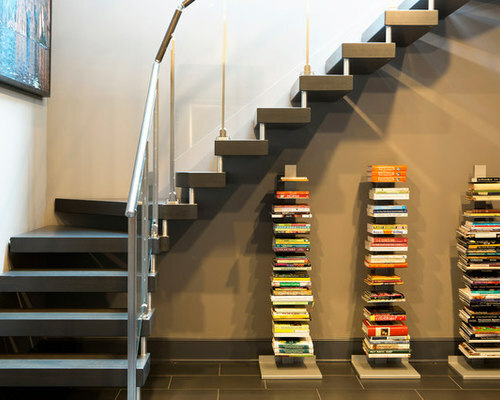 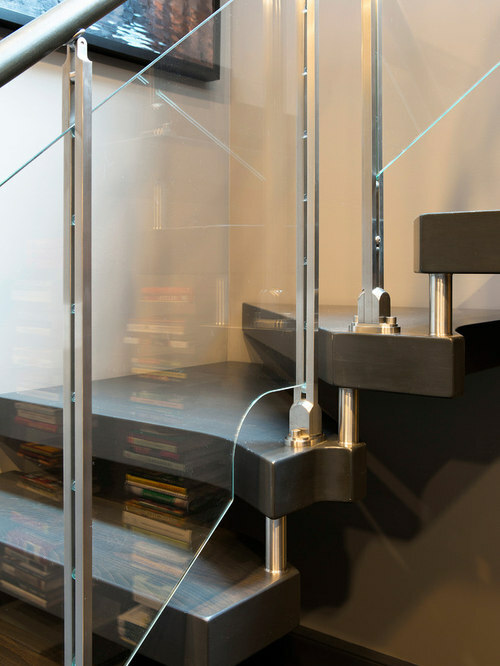 An Italian staircase opens up the space. 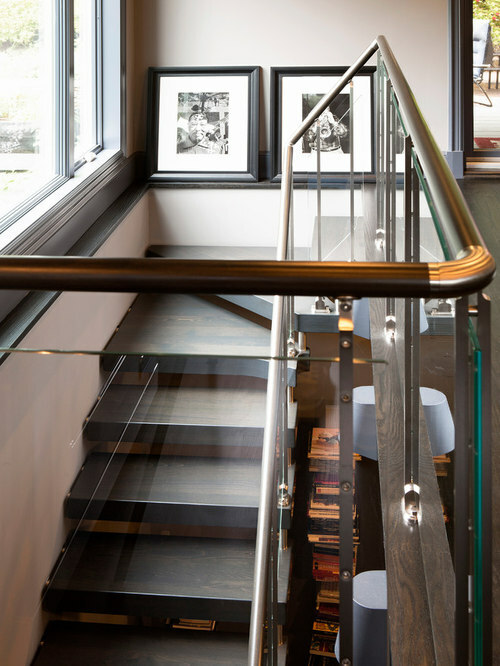 A wood handrail with glass and steel panels draws the eye toward the views beyond the window. 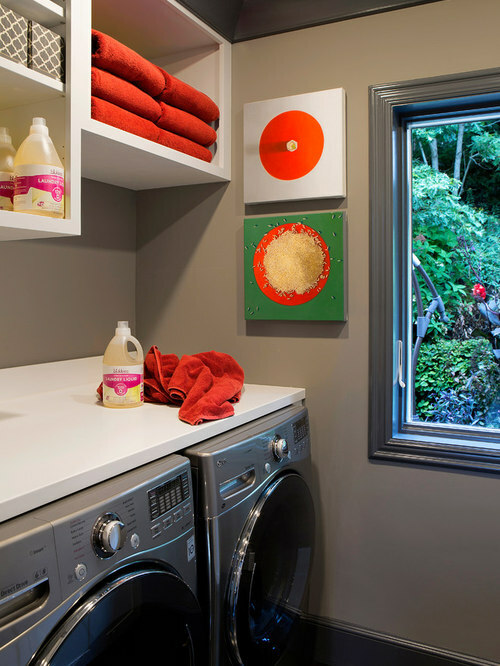 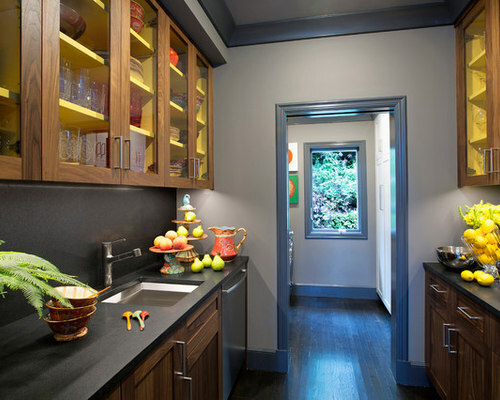 Walls and shelves inside the cabinets are a bright crimson red; frosted glass diffuses the color only slightly. 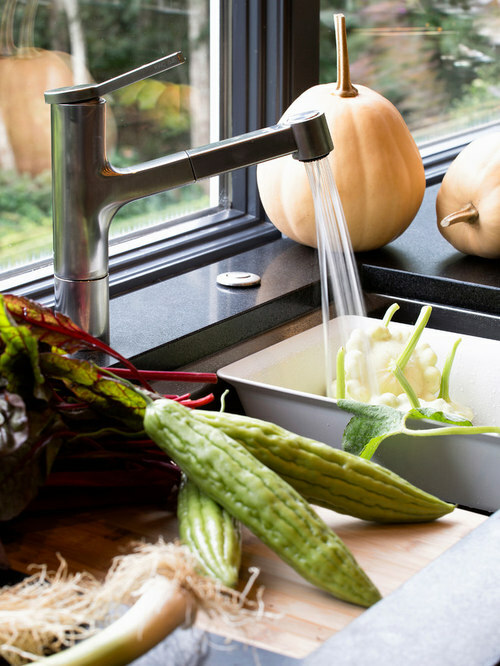 A prep sink offers more options for multiple cooks. 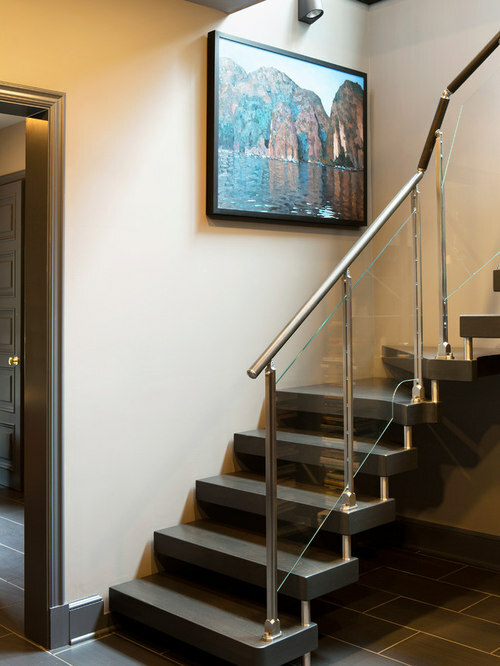 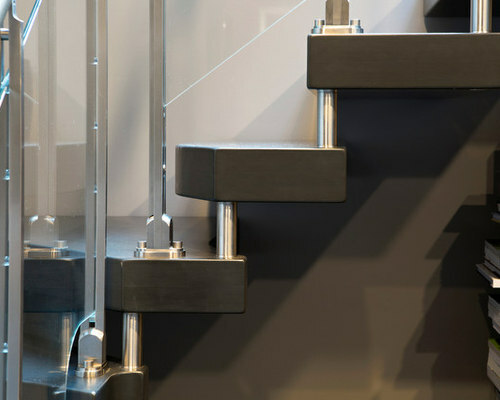 A new Italian floating staircase leads down to a rec room and full bath for the pool area. 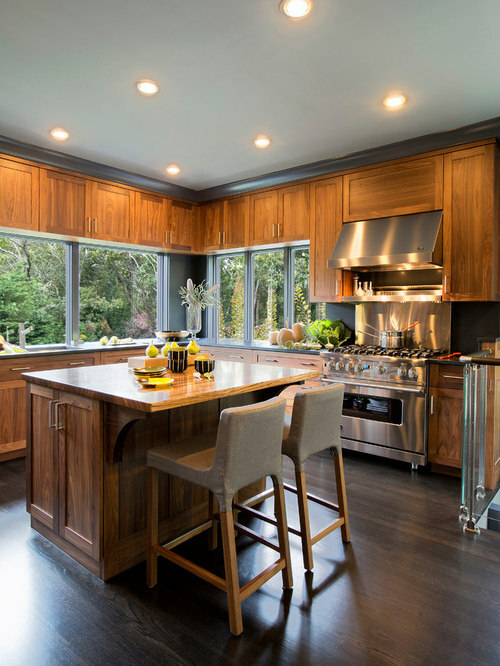 The wood risers are stained to match the oak flooring in the kitchen. 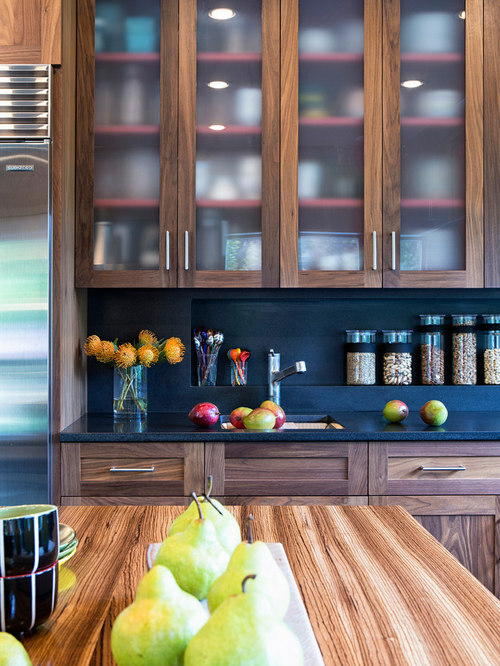 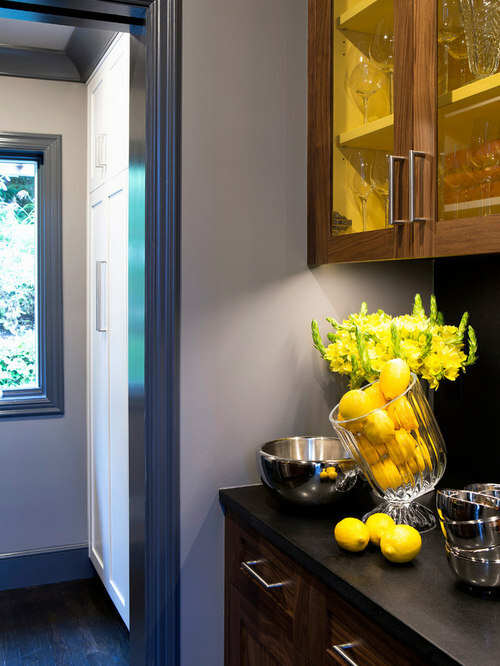 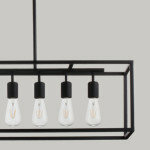 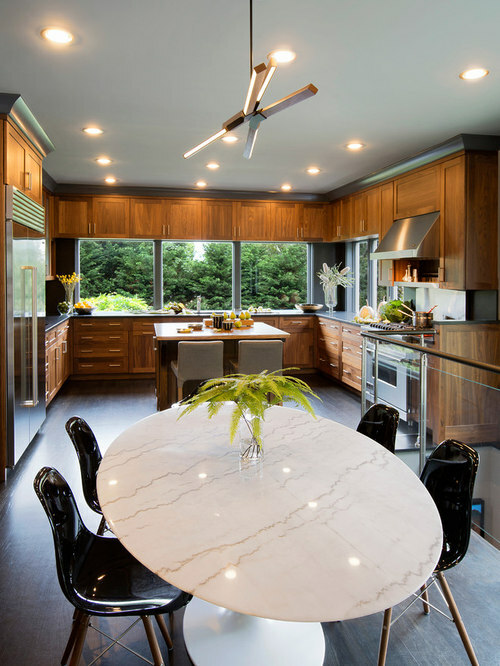 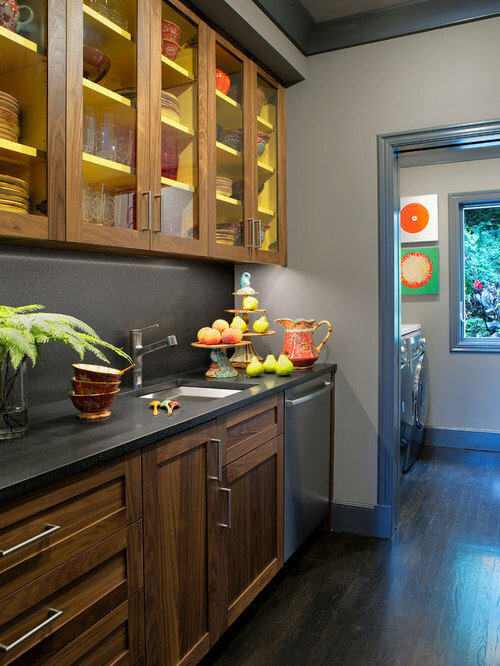 Honed black granite surfaces echo the countertops in the kitchen and butler’s pantry. 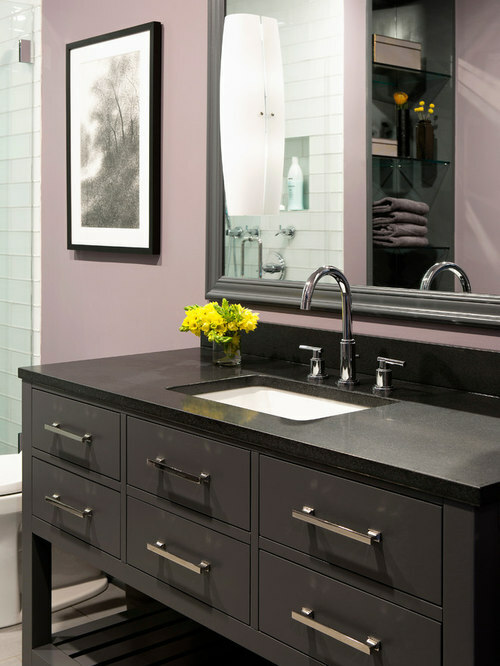 Glass tile brightens the shower area, and practical gray ceramic flooring tile continues the neutral color scheme of the rest of the house.